Renovations are expensive, indoors or outdoors, so in order to save some money, you may consider DIYing it all on your own. But be careful, exterior renovations apply to more than just clearing out a branch or two or putting a coat of paint on your deck, depending on the choice of a task it may depend whether you can perform it or it would be better to call in a pro. Having a solid plan is always the way to go. What do you envision as your home’s exterior? What are your needs and wants? Design and do your research. After receiving some information set your priorities depending on what you can and cannot do. Most of this you can DIY but if your plans involve things outside your expertise do call in the pros even in this phase as they can pay for their consultation only. This might save you some headache later on. Painting the exterior walls of your home sounds simple enough... However, it is more problematic than that. Firstly, if you haven’t ever painted interior walls, exterior walls may be too much of a challenge to start from. Furthermore, there is the issue of safety, depending on your house’s design – you will need ladders but even a scaffold tower may be needed. There is also the problem of paint itself, depending on its kind its removal may be more demanding as well as a possible safety problem, as in for instance laid paint. For this part, you should be sure about your paint removal and applying skills, but if you aren’t you should call in professional help. Though some may take on roof and window repairs all on their own, you should tackle them only if you have some extensive experience. Roof and windows present not only a visual issue but much more – insulation from water, heat and cold. Thus poor mending of either the windows or the roof can cause serious problems. Landscaping may be the most interesting part of an exterior renovation and many homeowners choose to do it on their own. If you are willing to do the research and keep your projects simple – you may DIY, but make sure you adjust your expectations to your skills and knowledge. However, if your plans involve some major renovations, such as removal of trees and tree branches or installing driveways, call in the pro not only for better results but also for safety. If there is one place to spend money on, it is on plumbing and electrics. Unless you are a trained professional, you really should hire a pro. Water and electricity are tricky enough indoors, but outdoors they become even more important, with the issues of elements, animals, and children. Pools and ponds are more than holes in the ground as they require extensive plumbing and electrical works but also digging. Such works are projects too large for a typical homeowner and so should be done by a pro. After all the work is done, but you can’t see the results from the rubbish you could call in pros for rubbish removal services and in that way have your yard cleaned and your rubbish recycled. Patios and decks are wonderful ways to make your exterior more home like, but dealing with them may depend on your wishes and your deck’s needs. 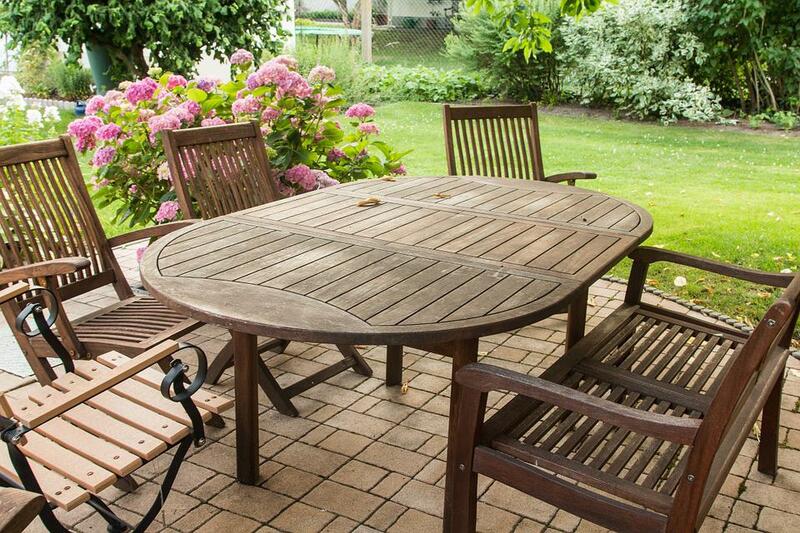 If you already have a patio or a deck, it may just take some repainting to refresh it, a job you can do yourself. However, if you require more, such as removing or replacing your deck, you will need professional help. All of the projects can be done by the professionals but if you choose you can save some money by DIYing. Of course, be realistic and plan so that in your wish to be a part of the project and save some money, you don’t spend more than you would have by hiring pros. Let your imagination run free but also do your research thoroughly no matter whether you will call in the pros or not. Make your Outdoor Wall Art Ideas your Neighbours’ Envy!